Sound practices can give your personal savings a boost. Creating a budget can be as simple as looking at income and expenses. Like calorie counting, a personal budget is often associated with sacrifice. But finance expert and AAA member Neale Godfrey puts a more positive spin on personal savings plans and budgeting. The author of 27 books on financial literacy says a personal budget is how you identify what you want and how to afford it. Without one, you’re basically driving down the road without a destination, she said. Simply put, a personal budget is an itemized list of income and expenses. It can be done on a weekly or monthly basis, but Godfrey suggests crafting a weekly budget until you feel comfortable. To create one, write down how much money you earn each week after deductions such as income taxes, 401(k) and health insurance. Then list (and eventually subtract) each of your “fixed” expenses – in this case, a weekly breakdown of what you pay for bills like rent, utilities, insurance, cellphone and anything else that costs the same every month. To calculate the weekly cost of a monthly bill, multiply it by 12 and then divide that number by 52. As the week goes by, log everything you spend money on, including fast food, coffee, clothing and anything else, Godfrey said. “At the end of the week, take a long, hard look at what you’re buying and decide if those purchases are enhancing your life or if you would like that money to go someplace else,” Godfrey said. That someplace else could be paying back credit card debt or putting funds into your personal savings account. It could also be allocating a certain amount of money every month for unexpected expenses and emergencies. A recent AAA survey showed just how important an emergency fund could be. The survey showed 64 million Americans would not be able to pay for an unexpected car repair bill without going into debt. And that’s just for car repairs. 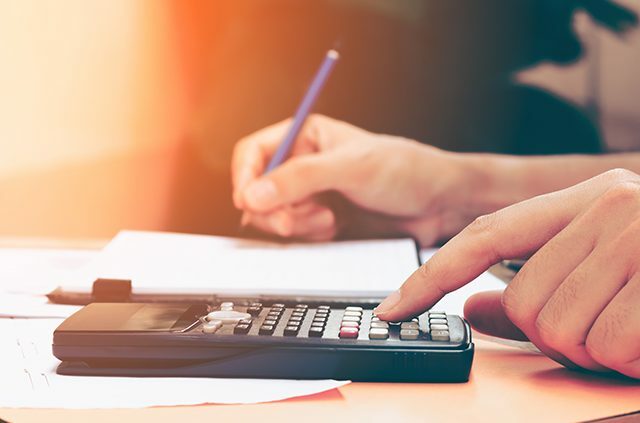 Now consider the unexpected costs of owning a home and raising kids and those emergencies could wipe out even a decent savings account. There are a few apps to help with personal savings. While you can sketch out a budget on something as low-tech as an index card, there are some high-tech apps available to help you track your expenses. Here are a few of note. This free app for Android and iPhones helps users track spending and set savings goals. It also has a receipt scan function that makes inputting expenses a little easier. Also free, Mint compiles data from a user’s bank, credit card and investment accounts in one location. Tap the trends tab for a snapshot of how you spent your money over a specific timeframe, such as the past seven or 14 days. Set monthly spending limits by stuffing digital envelopes full of virtual cash at the start of every month. Goodbudget’s Reports section also provides a pie chart and bar graph that illustrate spending habits. 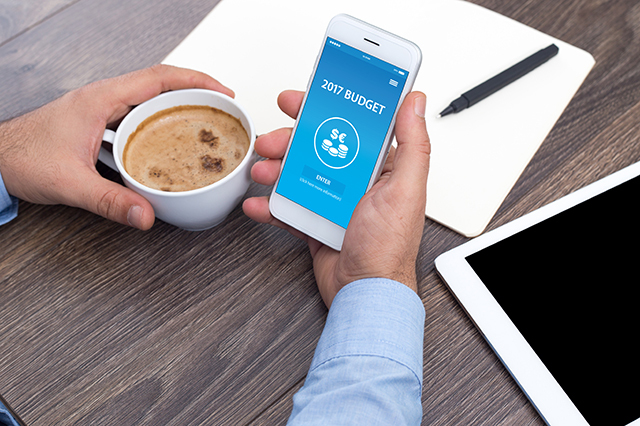 A budget can help you figure out where you are wasting money, but it is up to you to take action and make beneficial financial decisions. Here are some tips on how you can spend less money from Godfrey and other financial experts. It’s painless to swipe now and worry about the payments later, but that is an easy way to spend a lot more money than you make. Instead, set aside a specific allotment of cash each paycheck and use those funds for items you typically overspend on, such as clothes, groceries and dining out. This should give you a closer attachment to every dollar you spend and it might even discourage you from wasting money on a $5 gourmet coffee or a $2 bottle of water you don’t need. Just don’t go walking around with hundreds of dollars of cash in your pocket. That is not a good idea. It’s easier said then done, but it’s a good idea to have something to strive for. 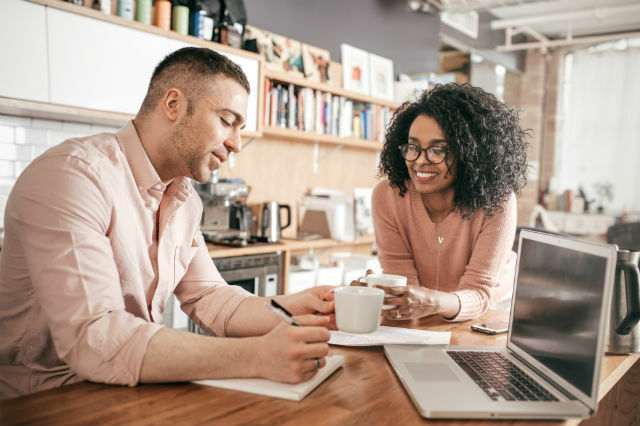 Whether that is a vacation, a home renovation or just banking a certain amount of money by year’s end, a goal is healthy way to widen your safety net and avoid wasting money on things you won’t even remember in the future. I am totally guilty of this one myself. But just because your friends want to go get drinks or food at your favorite restaurant or splurge on a $100 concert ticket to see a band at the local civic center doesn’t mean you have to. Sure, it’s probably not healthy to turn them down all the time, but you could always suggest a pizza instead of a fancy dinner or a free hike at a nearby park. 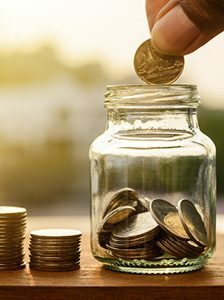 Penny pinching can be tough, but over the course of the year, you could save a considerable amount of money. Take these tips to the bank and maybe you can finally build that dream kitchen or take the trip of a lifetime! Editor’s note: Neale Godfrey is the author of 27 books on financial literacy, including “Money Doesn’t Grow on Trees: A Parent’s Guide to Raising Financially Responsible Children.” The views and opinions expressed in this article are that of the author and should not be considered an endorsement from AAA. Have a saving tip that’s helped you? Tell us about it in the comments. To learn how AAA can help you grow your savings, go to AAA.com/Deposits. Article tags: 401 k, AAA, apps, car, credit, credit card debt, dinner, expenses, fast food, finance, financial, food, health, health insurance, hike, home, home renovation, insurance, personal savings, personal savings account, renovation, safety, save, savings, savings plan, tech, trip, vacation.